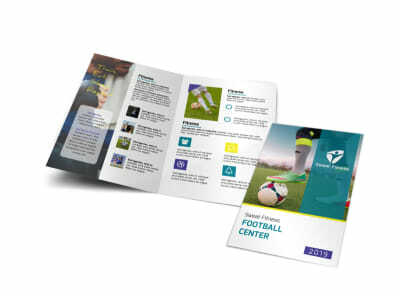 Customize our Football Program Bi-Fold Brochure Template and more! 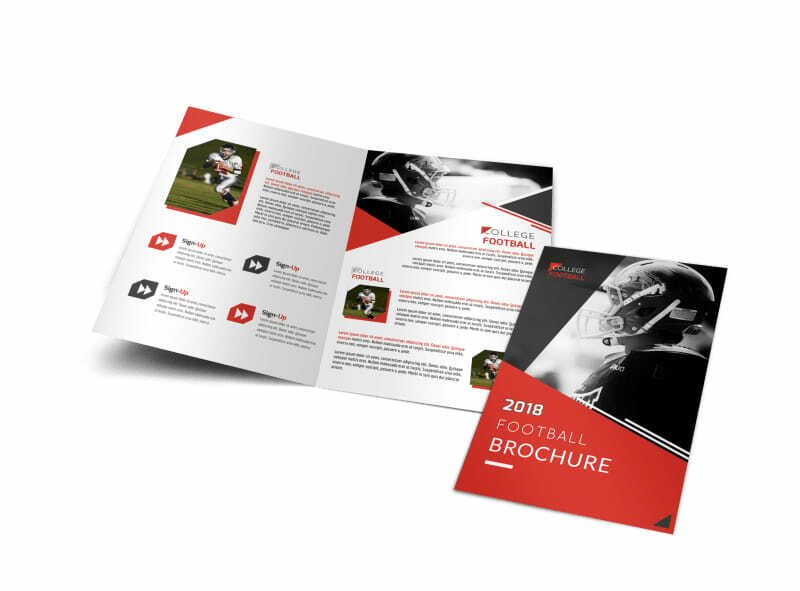 Reach out to would-be quarterbacks with this brochure you customize yourself to give them the details of an upcoming football program. Utilize our easy-to-use online editor to customize the colors, text, images, and other design elements for your brochure. Drop what you’re doing and get started on your design!